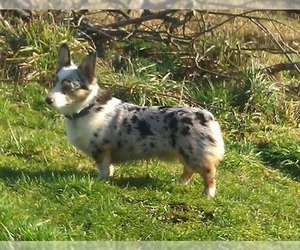 Overview: The Cardigan Welsh Corgi may be suspicious of strange humans, but gets along well with other animals and kids. He has a very even temper and can often be 'serious' as opposed to overly playful. He's a great companion in any family activity. Coat: Slightly harsh outer coat of medium length with a soft, thick undercoat. 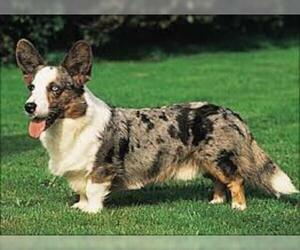 Character: Cardigan Welsh Corgis are smart and brave. 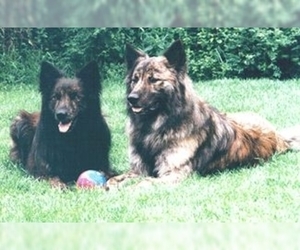 They're calm and form a close bond with their family. 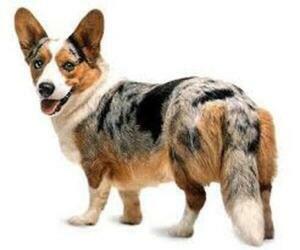 Temperament: This breed is somewhat aggressive with other dogs. Early socialization is necessary for them to get along with cats and other household pets, though they tend to always get along well with children. 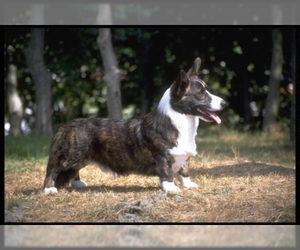 Care: The Cardigan Welsh Corgi requires occasional brushing to remove dead hairs. 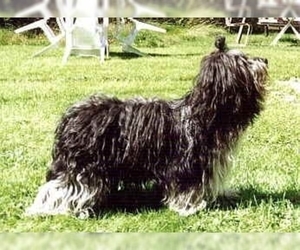 Training: This breed learns very quickly and has a good understanding of what is expected in the training exercises. 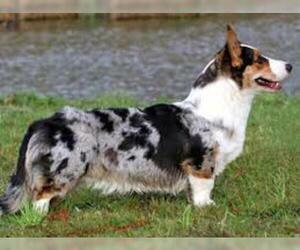 Activity: The Cardigan Welsh Corgi loves the out of doors and enjoys long walks and sports activities. 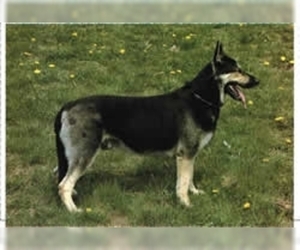 Health Issue: This breed may be prone to progressive retinal atrophy and glaucoma. Displaying 26-30 of 66 result(s).